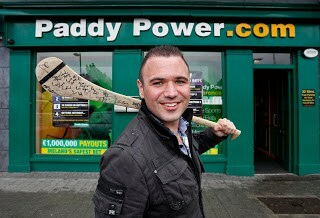 From Jobless Paddy to working for Paddy Power - great news! From Jobless Paddy to working for Paddy Power – great news! I joined a Facebook group a while back called Jobless Paddy . Having tried and failed for months and exhausted all traditional job hunting avenues, I have decided to have one last throw of the dice to remain in Ireland before I am forced to look elsewhere for work and to develop myself professionally. I have experienced the constant rejection and frustration that comes with being unemployed. I feel restricted at only having a cover letter and a two page document to express my capabilities and I am longing to once again experience the dignity that comes from work. I do not adhere to the almost universal consensus that any young unemployed person must leave the country to have any hope of prospering. Experience overseas has led me to a greater appreciation of our country, culture, and way of life. I would like to stay and be part of this country’s recovery, so please spread the word. 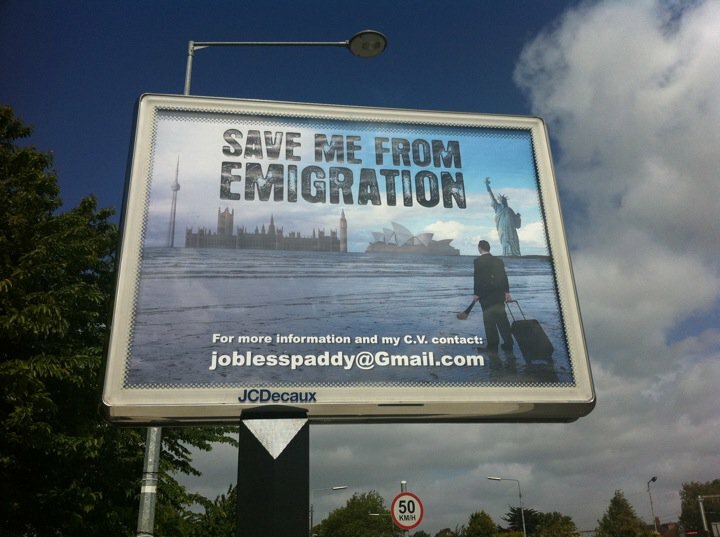 So Feilim spent his last 2 000 Euros , erecting the below billboard around Dublin. Since he erected the signs, he’s had a bunch of interviews( I think he mentioned well over 20 interviews!) and I just read today on his facebook page he has accepted a joboffer to work for Paddy Power. What a great start to the WE!